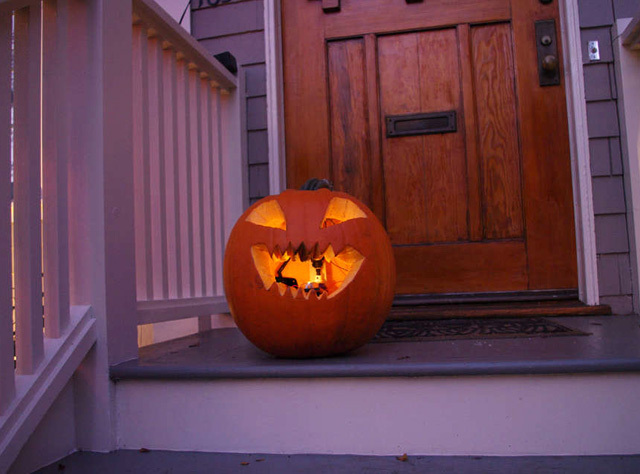 This pumpkin is extremely dangerous and you definitely should not make one of these. The instructions were posted here are for entertainment purposes only. I do not condone the manufacture or use of flamethrowing jack-o’-lanterns. 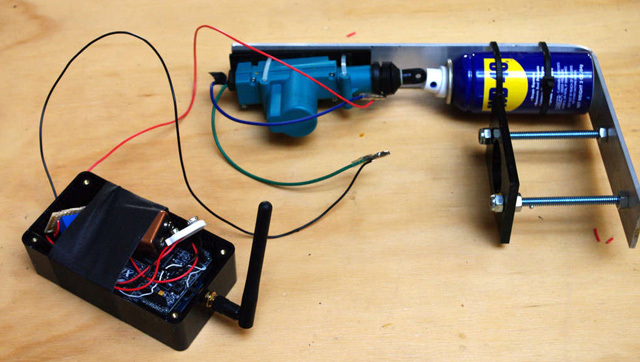 Seriously, nothing good will come of making one of these. Don’t do it. 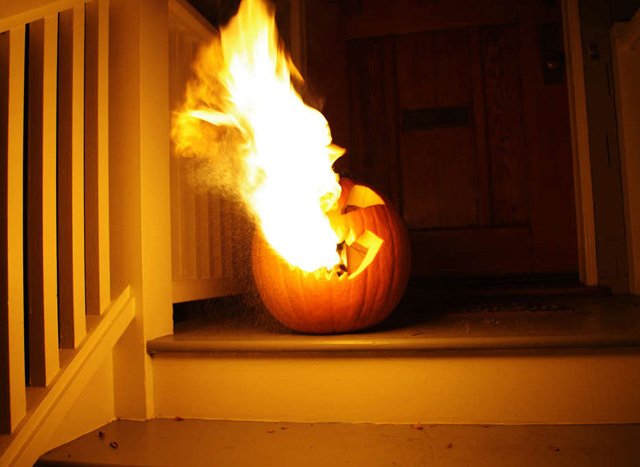 A flamethrowing jack-o’-lantern keeps the trick-or-treaters a safe distance from your house and is a fine addition to any anti-Halloween arsenal. 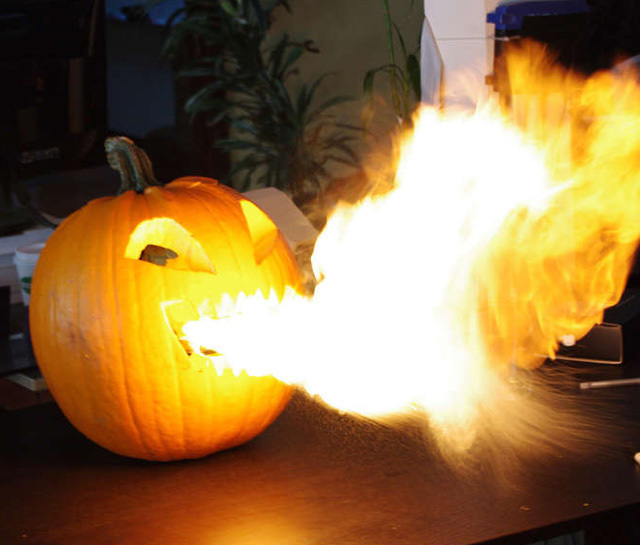 At the first sign of any sugar-obsessed imp, simply press the trigger button and wirelessly shoot a one-second burst of flames out of the jack-o’-lantern’s mouth. This plume of hellfire will make even the most bold of people think twice about approaching your door. Very few people are willing to risk life and limb for the chance of a tiny box of milk duds.